Why Is Pisces so Emotional? Everyone has emotions. Without emotions music would not move you and loss would not affect you. Nothing would bring you to tears or have you rolling in laughter. However, a Pisces' emotions are complex and capricious. Why? Because a Pisces' emotions are swayed to and fro by the emotions and feelings of others. It's important to understand a bit about the astrological sign of Pisces in order to understand why a Piscean is so emotional. As the Mutable (adaptable) Water (emotions) sign of the Zodiac, Pisces adapts to its emotional environment (like a chameleon) and reflects it back like a mirror. Shifting emotions are the hallmark of Pisces. Their emotions ebb, flow and swirl like the ocean's currents, which means Pisces is naturally in a continual state of emotional flux. Those with a Pisces Sun, Moon or significant placements in Pisces are highly impressionable and empathetic, perhaps even psychic. They can feel another person's pain so powerfully that their pain becomes Pisces' pain. They may also feel the hurt, pain or physical symptoms of those they love, even from great distances. 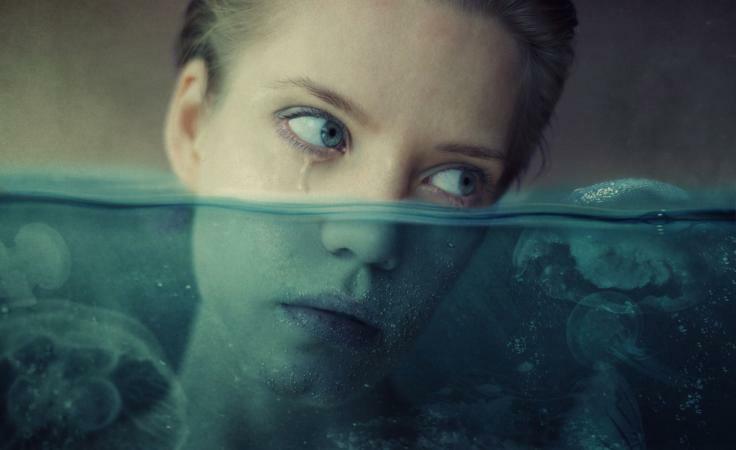 A Pisces takes in all of these emotions until all of a sudden, they break down and start crying. They may not know why they're crying, only that they feel overwhelmingly sad. A Pisces is compassionate and sensitive to any kind of suffering. Which can be devastating to them unless they find a way to express their feelings outwardly. Below are a few of the ways this can be done. Look inward, be the creative person they are, and communicate these feelings through art, music, or poetry. Exercise is a healthy way to express these feelings outwardly, but a Pisces needs to be gentle on their body and choose forms of exercises that flow, like yoga or dance. Bodywork, such a Rolfing or Polarity Therapy, can help a Pisces stay in their body and find emotional balance. Mindful meditation can give Pisces space to experience an emotion for what it is. A Pisces wants everyone to be peaceful and happy. To keep the peace, they tend to say nothing, distance themselves from those who hurt them, and in the end, hurt themselves. But, if a Pisces will approach the person in a kind, honest, and open manner about what they're feeling, the negative feelings can be cleansed, will no longer have power over them, and Pisces will have more honest and peaceful long-lasting relationships. Being highly empathetic and able to tune into what other people are feeling is a gift. As a Pisces gains control of their shifting emotions, they can lift themselves out of their former depressive states, integrate Spirit with positive emotions, and use their loving skills to improve their own and other's lives.